People often ask me how hypnosis feels. - Losing control over what you say and do. 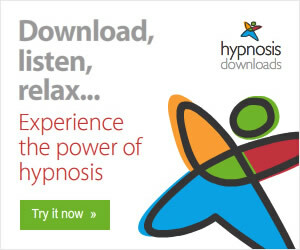 So what is hypnosis then? It is a very pleasant state of mental and physical relaxation similar to a Sunday morning dozing feeling. Half-way between fully awake and falling asleep, still aware of your body and your surroundings. However, it is also a state of high awareness. 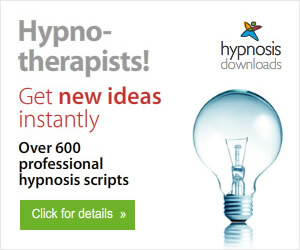 You will probably hear a car going past louder than the hypnotherapist but because you are so relaxed, it doesn’t bother you at all. Some people feel heavy, some light, some feel tingling. Some are aware of their mind wandering or of trying to remember what I said. If someone comes for multiple sessions, they notice that they can fall into the relaxing hypnotic trance state quicker and more deeply. I find it interesting that most of my clients are not of English mother tongue and yet they still gain results, regardless of their command of English. One client came from Bosnia solely to have therapy with me. When you sleep you are unconscious so your conscious mind switches off. Your unconscious mind stays alert. That is the part of you which hears your child in the night. Your mind filters out the sounds which your child makes otherwise you would never sleep but alerts you if there is a sound which is different eg an intruder downstairs. You might think hypnosis is sleep from the stage hypnotist’s instruction “sleep”. Actually what happens is that he pre-hypnotises the subject and inserts a post-hypnotic suggestion that when they hear the word “sleep”, they will instantly fall into a deep state of trance. Nothing to do with sleep. He has pre-selected his subjects using a series of suggestion tests to find out who can go into a deep hypnotic trance. This is necessary for stage hypnosis entertainment but not for therapy. Although I always explain what hypnosis is and what it is not, still people come to the end of hypnosis session and think that nothing has happened because they don’t “feel hypnotized”. I remind them that there is no hypnotic feeling. They leave thinking that I didn’t hypnotize them, that it didn’t work, that I couldn’t hypnotize them or even that they failed and then are surprised to find that the desired change has indeed taken place. The aim of hypnosis is to talk direct to the unconscious mind where 90-95% of all brain activity takes place. You might know consciously why you want to stop an unwanted habit or make a change but your conscious mind rationalises, justifies, makes excuses – all of which stop you making the desired change. You might be uncomfortable in your (dis)-comfort zone but that is what you know. “Better the devil you know”. That negative phrase keeps far too many people from making change which can dramatically alter their path in life. Permanent change takes place in the unconscious mind. In the therapeutic use of hypnosis we work direct with the unconscious mind and that is why it is so effective, so quickly. You would be surprised how easy it is to finally make that change in your life.